Sponsored Post: This post is sponsored by The Homeschool Buyer’s Co-op but the opinions expressed here are my own. For many of us who homeschool that doesn’t mean that learning takes a break. Summer is the perfect time for us to explore new techniques and tools with our students. This summer, say goodbye to traditional textbooks and worksheets and say hello to exciting summer homeschool curriculum that stimulates and engages our kids. 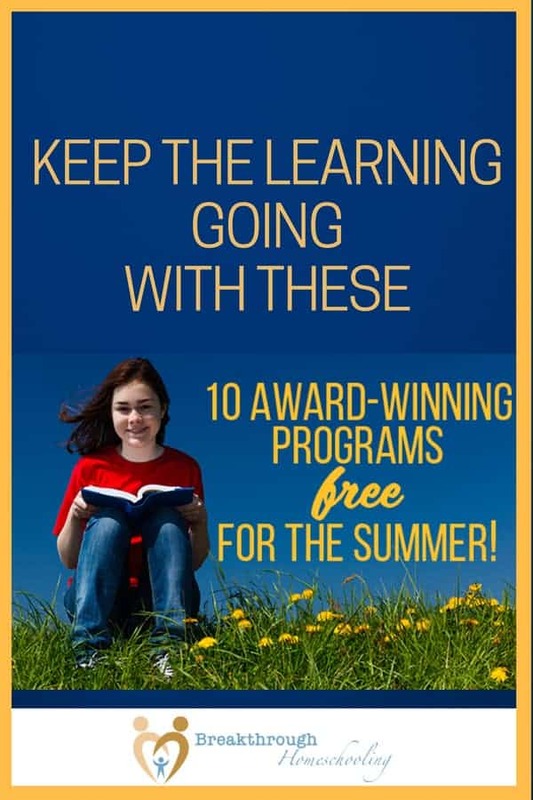 The best part, all of these fantastic tools are offered 100% free for summer by our friends at the Homeschool Buyers Co-op. What better time of year to empower your child to take ownership of their education than the summer. There are loads of resources that offer videos that they can interact with at their own pace. The Co-op has included Visual Latin (which has long been a family favorite of ours!) as well as CCC! Streaming Media (you can select one CCC! program) in their Free for the Summer deal! Who wants to turn on the oven when it’s 100° degrees outside? It might sound counterintuitive to suggest cooking lessons over the summer, but Kids Cook Real Food has found just the ticket – InstantPot and slow cooker recipes. You can teach your kids how to cook an entire dinner for the whole family. What could be better than that? How about getting it for free? Done! Kids Cook Real Food is part of The Homeschool Buyers Co-op Free for the Summer program! Summertime is also all about exploring new and fun projects that we may be too busy to pursue the rest of the year. Make the most of this time by focusing on the arts! Help your children get acquainted with fine arts as they explore the lives and works of Master Artists with Meet the Masters. 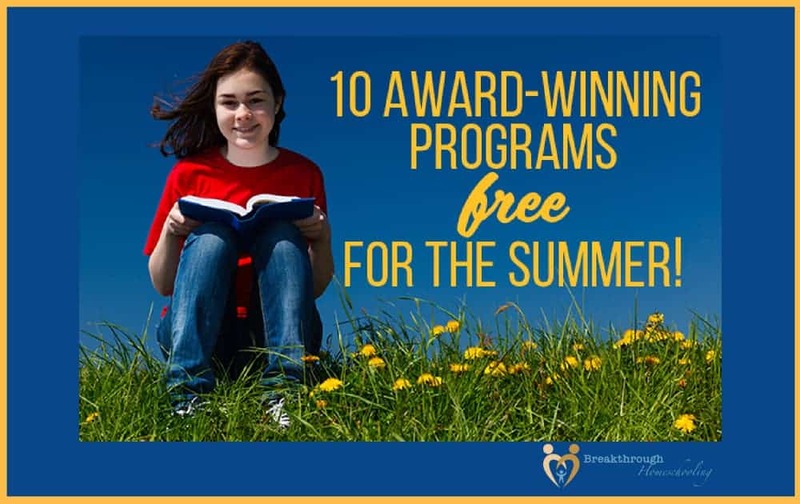 If the thought of summer brain-drain has you wondering what you will do to prevent it, then be sure to check out these free opportunities at the Homeschool Buyers Co-op! Membership is always free and comes with exclusive member benefits year-round. JOIN NOW! Our family has benefitted greatly from the Homeschool Buyers Co-op…so much so that I’ve included them in my list of 100 Resources to Craft a Rich Homeschooled High School Experience! During two consecutive summers, we’ve used their Driver’s Ed course with two of our teens – #3 will be using it next summer! – and were able to get auto insurance discounts for doing so (check with your insurance company beforehand, of course, to make sure any discounts apply to yours…). Our favorite math program (still in use in our homeschool) is CTCMath; it’s moved right along with us from middle to high school, and yes, through the summer! Read my review of it here. This summer we’re trying out their free Virtual Field Trips, which integrates with HomeschoolPlanet. This is something the whole family will enjoy, as the 12 “trips” cover places all over the world! These award-winning programs are only the tip of the iceberg! What’s YOUR favorite product from The Homeschool Buyer’s Co-op? ← #breakthrulinkup 35 – Last call!